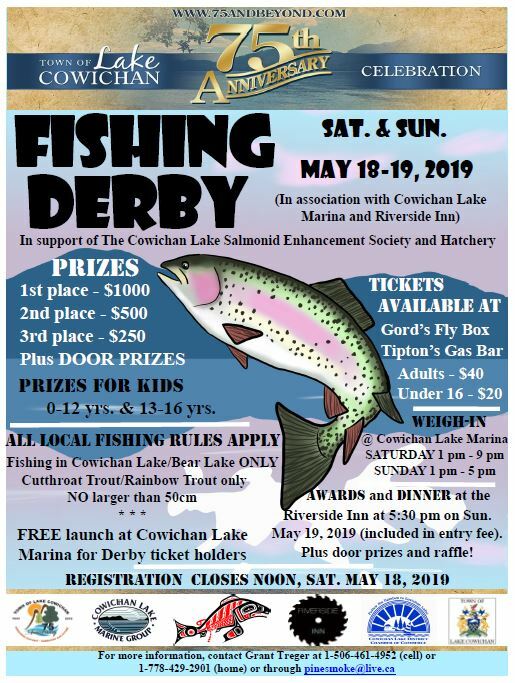 The Town of Lake Cowichan is hosting the fishing derby May 18 and 19 and registration is now open. Freshwater anglers are invited to register and they will be fishing on either Cowichan Lake or Bear Lake. 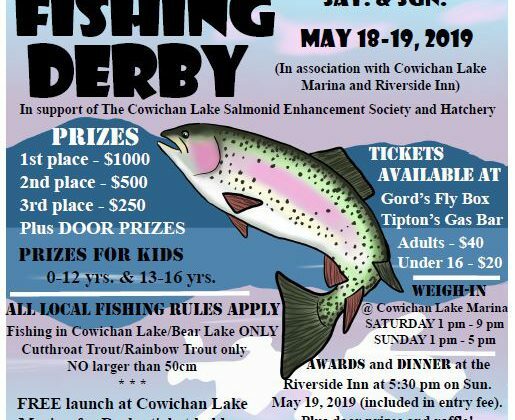 The angler who pulls in the largest Cutthroat or Rainbow Trout, not exceeding 50 centimetres, will win $1,000 dollars, while second place wins $500 and third place earns $250 dollars. Proceeds from this event go to the Cowichan Lake Salmonoid Enhancement Society and Hatchery. Registration tickets are limited to two hundred and local fishing regulations apply. Contact Grant Treger at 1-778-429-2901 or by email at pinesmoke@live.ca to purchase your derby tickets. You can also call Treger on his cell at 1-506-461-4952.